How Long Does Yeast Last? How long does yeast last? 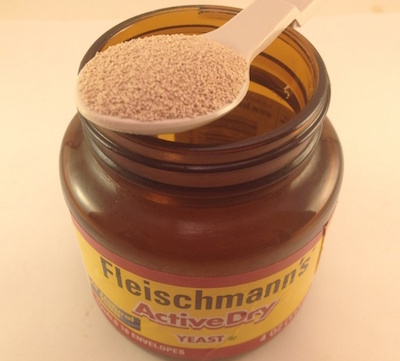 Dry yeast is good for 2-4 months beyond its "best-by" date. That being said, the shelf life of yeast depends on not only the best before date, but also how it is stored. Yeast is a leavening agent containing active enzymes that create CO2 (carbon dioxide) when moistened. It is the starting ingredient in almost all bread recipes and the majority of baked goods in general that need to rise before baking. The best by date for yeast is two years after the date it was packaged. Red Star, for example, stamps their products with the month & year that is two years out from the manufacture date. For example, MAR 2014 08 09 - indicates that optimal results will be realized if the product is all used up by March of 2014 (the last 4 digits are for their own manufacturing purposes) . Remember that yeast, like a lot of other baking products, usually has a best before date and not a use by date or expiration date. Because of this distinction, you may safely use yeast for your baking needs for a time after the best before date has lapsed. How to tell if Yeast is bad, rotten or spoiled? Yeast will eventually change from a light tannish grey to a darker brown color and begin to clump together when it is getting old. Once you see these changes, the yeast has gone bad. But before that, it will probably look fine but may or may not be alive and well. When it is going bad, the organisms are becoming less active and dying. So, older yeast will take longer to rise. The best way to tell if yeast has gone bad is to perform the yeast freshness test that is detailed below. 1) Dissolve 1 teaspoon of granulated sugar in 1/2 cup warm (110°-115°F) tap water inside of a one cup or larger measuring cup. NOTE: It is best to use a thermometer, but if you don't have one make sure the tap water is warm, not hot, when touched. Water that is hotter than 120°F will kill the yeast and cooler water will not be able to activate the yeast. 2) Stir in a yeast packet (or 2-1/4 tsp of dry yeast) until dissolved. 3) Wait - in a minute, it should become activated and after 10 minutes should rise to the 1 cup mark. 4) Use your test in your recipe right away (remembering to deduct 1/2 cup liquid from your recipe) - OR, if it did not rise then your yeast has gone bad and should be thrown away. How to store Yeast to extend its shelf life? Yeast is a living organism which becomes less active over time, much like yogurt cultures. Like most foods, it perishes even quicker when exposed to air, moisture and/or heat. Unopened packages should be stored in the cupboard or other cool, dry place (refrigerator is fine too but not necessary until it is opened). Once the package or jar is opened, it must be refrigerated (or frozen) in an airtight container with as much air squeezed out as possible. For a long term option, dry yeast can be frozen for about 6 months after opening. Dry yeast should always be be brought to room temperature before using, so be sure to remove only the amount needed from the fridge or freezer about 30-40 minutes before using. Cake Yeast (also called Compressed) is even more perishable than dry, requiring constant refrigeration below 45°F to maintain its freshness and activity. Always wrap remaining cake yeast tightly and store in an airtight container in the refrigerator. Freezing cake yeast is not recommended. .
How long is Yeast good for when prepared in a dish? How long does yeast last? That depends. How long does flour last? In general, all foods expire along with the fastest expiring ingredient in the dish. In determining how long Yeast lasts, our content incorporates research from multiple resources, including the United States Department of Agriculture and the United States Food & Drug Administration. In addition, we scoured the web for informative articles and reports related to food safety, food storage and the shelf life of Yeast. Although the Yeast shelf life information on Eat By Date is generally reliable, please remember that individual cases will vary and that our advice should only be taken as an opinion and not a replacement for your health care professional. Please eat responsibly!